Bike Pic Dec 24, Santa's Traded His Iconic Sleigh For What? Bike Pic Dec 24, Santa’s Traded His Iconic Sleigh For What? Santa has traded in his iconic sleigh for a new ride this year! What do you think old St. Nick’s Fatty? With Christmas Eve upon us we just wanted to bring some lighthearted cheer and a jolly good laugh! See all the places to explore after the holiday in the new Minnesota Bike/Hike Guide. 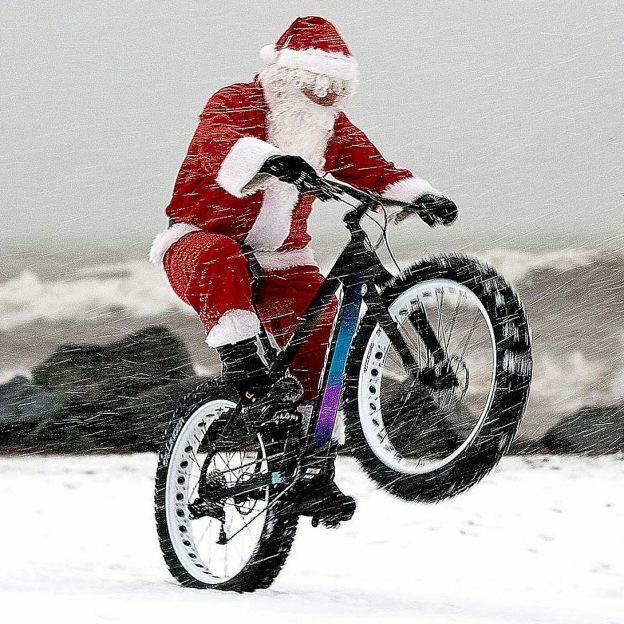 This entry was posted in News, Picture of the Day and tagged #christmaseve, #duluthmn, #fatbike, #mtb, #newride, #onlyinMN, #picofday, #salsa, #santa, #santabike, #snow, #snowbiking, #visitduluth, #winterbiking, Bike Guide Minnesota, Bike Guide MN, Christmas Ever, Duluth MN, Free Bike Map, free bike maps, Minnesota Bike Guide, MN Bike Guide on December 24, 2016 by Stephanie Hunt.